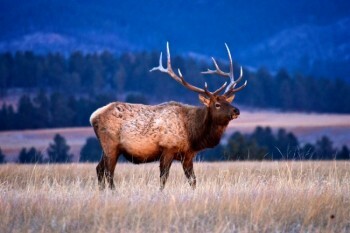 Elk in the early morning light at Wind Cave National Park. 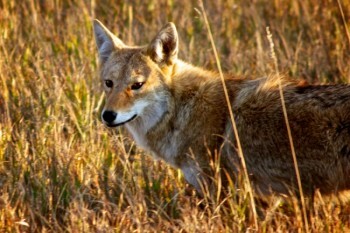 Coyote along Badlands National Park road. 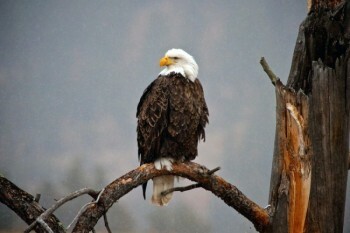 Bald eagle on the site of the old town of Burdock in the southern Black Hills. 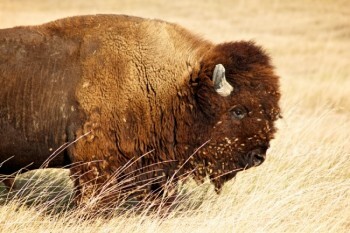 Bison bull in the Sage Creek wilderness area of Badlands National Park. 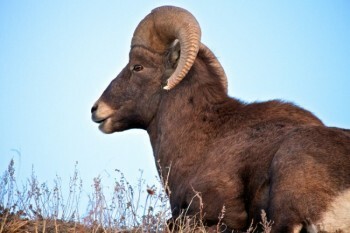 Bighorn ram near Panorama Point viewpoint in Badlands National Park. 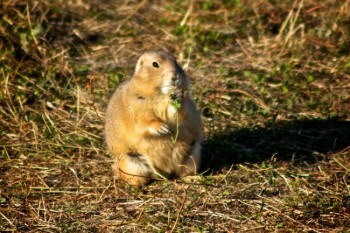 A prairie dog nibbles on a bit of greenery in Badlands National Park. 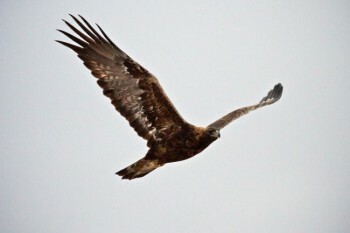 Golden eagle in flight near the short pine hills of northwestern South Dakota. 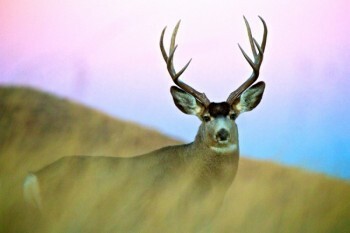 Mule deer south of Midland, South Dakota. 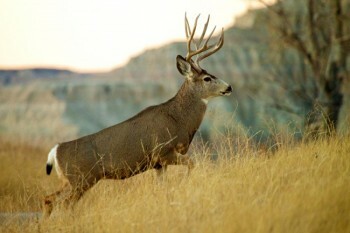 Mule deer buck along Badlands National Park road. 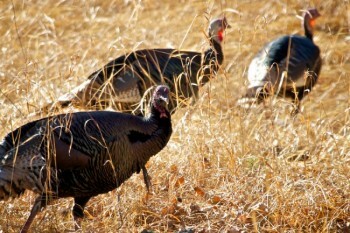 Wild turkey in Custer State Park. 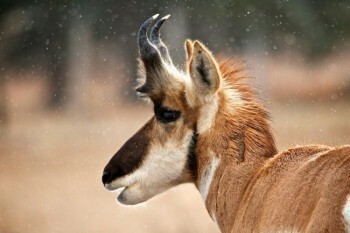 Pronghorn on the road in Custer State Park. Bald eagle on the border of Custer State Park and Wind Cave National Park. 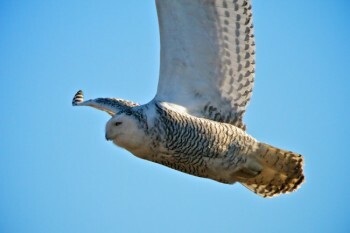 Snowy owl near the old town of Okobojo, located northeast of Pierre. Last month I was driving back to Sioux Falls from Bismarck, ND with a friend. Out of the corner of my eye, I saw a shape moving in the field to the north and quickly blurted out, “That’s a coyote!” in mid-conversation. I didn’t really have an answer for him. We then both agreed it was pretty cool that we lived in an area that still affords the chance to view real and untamed wildlife far away from any zoo. Another family tradition of ours is either hiking or driving through, around and over the Moreau River Breaks after the family Christmas dinner. First it was with my cousins but as I got older it evolved to going out with my uncle and/or dad. Recently it has been with my brother and nephews. However it ends up, we almost always see good numbers of deer, and at the very least, tracks and signs of other interesting Dakota wildlife. This year was a banner year for me for seeing and photographing wildlife over the holiday break. I’m not exactly sure what made this year better than others but I do have a few tips I’ve learned for you to increase your chances of spotting some of South Dakota’s abundant wildlife from your car. Location. To see wildlife, you have to be where they are. Your best bet is in parks or wildlife production areas. Badlands National Park, Wind Cave National Park and Custer State Park all have top-notch opportunities to see wildlife all from the maintained park roads. Other areas to check out are river breaks and valleys. Wildlife need to drink so can usually be found near sources of water. Timing. 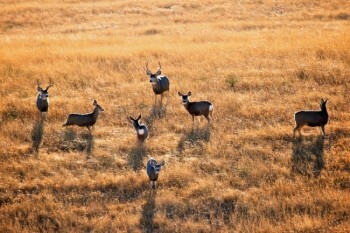 Your best bet to see animals out and about is the hours around dawn and dusk. I’m not a morning person at all, but this year alone I’ve been able to hear the coyotes serenade morning’s first light on three different occasions and it thrilled me every time. Equipment. I realize not everybody can afford the best long lens or camera body to get close-up wildlife shots, but I highly recommend that you take time to review your own camera and make sure you understand the best setting to shoot in low light situations as well as the best shutter and aperture settings to shoot at maximum zoom. Take the time to dig out that manual or do a search on the internet to see what other users are doing. It may make the difference in turning an average shot into an amazing photo of some of South Dakota’s great wild creatures. And those Moreau breaks are one of the prettiest spots in the fall of the year. If I remember right there is a great state recreation area called the Little Moreau Recreation area just South of Timber Lake. One fall I watched a deer and a squirrel tease each other around a picnic table. One of those sights you don't forget. 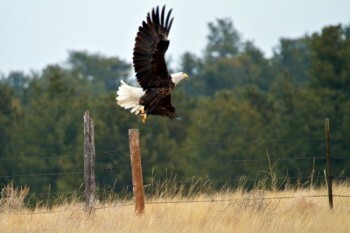 Last month, my family and I drove west river, along the Grand River, looking for bald eagles. We didn't find any that day, but we saw deer, prairie dogs, hawks, wild turkeys and two golden eagles. The eagles were flying over a rocky hill, so we pulled over to take some pictures. It was as if they started showing off for us; flying closer and closer, until they were flying right over our heads. They put on quite a show for us.